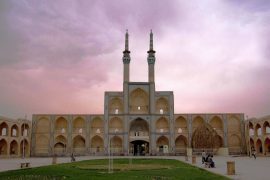 Embracing the most popular, withstanding Alborz Mountain Rang, the capital city of Iran, Tehran, is known to be the most secular and liberal city of Iran. You have to spend quality time in this city to realize that it’s not only chaos, traffic jam, and air pollution; it is actually Iran’s heartbeat, its modern land and a preview to how the country’s future is going to be. 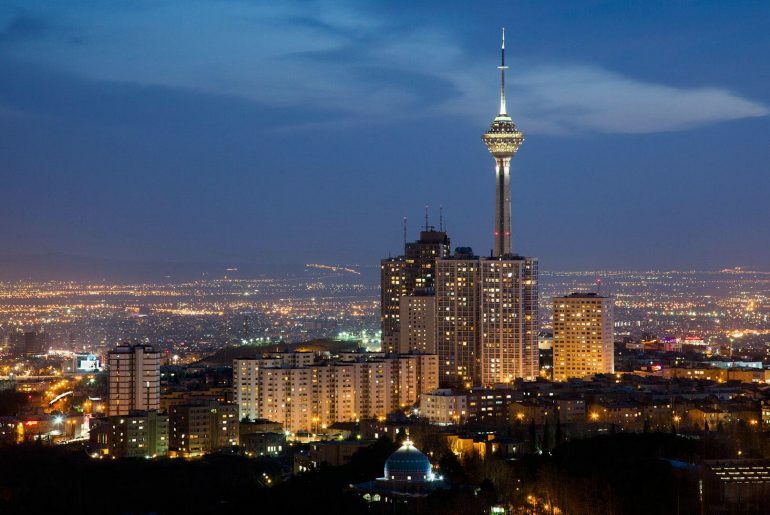 Going through this amazing mega city you will be transported through 250 years of Iran’s history, some of the examples are the shinning Golestan Palace and close to it you’ll find the Grand Bazar, going uptown you’ll see the impeccable Azadi Tower and also the former US embassy. Also, there are a great number of different kinds of museums and peaceful gardens. 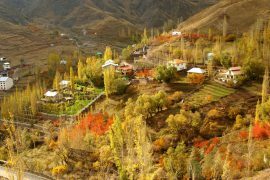 It’s in these wonderful places and also modern cafés, traditional teahouses as well as walking trails in mountains, that you’d find peace and it would be feasible to relax and enjoy the positive points about Tehran. If you want to really enjoy your journey you must choose a time around the end of March for two weeks since it is Iranian New Year, also known as Nou Ruz on the 21st of March and considering the fact that more that 60% of the people who live in Tehran are originally from other cities in Iran, this city has much less traffic and is calmer than other times of the year. The best months to visit are April and May, also September to early November when the weather is relatively fine; yet summer is hot and can be humid and winter is not as cold as it should be while the air pollution is at its highest rate during December and January. Thousand years ago, Tehran was a village close to the great city of Rey, which is now actually a suburb of Tehran, was in the ancient times, one of the capital cities of Seljuk reign. It was in 1220 that the Mongols devastated this city while they were destroying the whole Persia as they hanged thousands of innocent people. Most of them who were able to escape gathered in Tehran and that’s how the population of this future capital city made a village into a successful business center. The natural beauty of Tehran consisting of thousands of trees, limpid rivers, and good preys during the mid-16th century attracted the attention of King Tahmasp I, from the early Safavid dynasty. He ordered the establishments of gardens, brick houses, and caravanserais and also of the fortifying of the city with 114 towers. While Tehran was developing through this kingdom, Europeans who were visiting the city admired its many gardens and vineyards in their writings. When Qajars menaced Iran in 1758, Regent Karim Khan Zand led his troops from Shiraz to Tehran. Also at that time he reestablished the city and commenced building a royal residence. It is possible that he had aimed at moving his capital to Tehran, but unfortunately, Mohammad Hasan Khan was killed and his young son Agha Mohammad Khan was taken a hostage, he claimed that the threat was done and returned to Shiraz. Yet the history didn’t turn out as he wished; by 1789 Karim Khan had been deceased for a long time and his prisoner, Agha Mohammad Khan was wearing the crown. The new king announced this city with 15.000 population in the capital of Persia and it expanded continuously as the main city of Qajar dynasty. Its population had been 250.000 by the 20th century and by then it was one of the most overpopulated cities in the world. This capital city has faced two revolutions, two coups, and countless collisions. Since Tehran was the place of CIA’s first coup d’état in 1953, it had a great influence on the politics following WWII. Also as the declaration from Tehran, has been the driving force of the growth of radical Islam from 1979, the impact hasn’t dissolved yet. The mayor of Tehran, Mohammad Bagher Ghalibaf was elected in 2005 and has served two more terms since. Under this conservative politician leadership, who lost out to the more moderate Hassan Rouhani in the 2013 presidential election, this city has become more developed and glorified. It’s not avoidable that his administration has undergone criticisms for his negligence of the environment; as a result of not watering the trees in Valiasr Ave, 8.000 of them are dead and 7.000 are suffering lack of water. 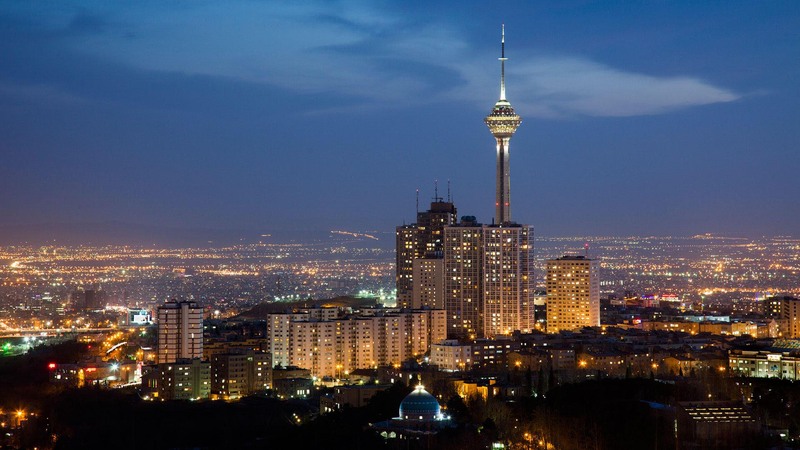 Tehran is a megacity, so it is only natural that many people living in Tehran may not have visited many of its neighborhoods, let alone foreign travelers. Although most of the streets have English signs, one would easily get lost there. 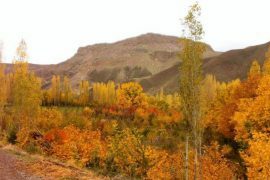 It’s good to have in mind that Alborz Mountains could be taken as a sign for north of Tehran since they are located in the north. Also because of the fact that the whole city is built close or in the mountains, if you’re walking uphill it means you’re going north. Tehran’s most famous and longest street is Valiasr which is 17km and starts from the posh suburbs around Tajrish in the foothills of the Alborz Mountains to Tehran train station in the south. It was actually called Pahlavi Ave before the revolution while it’s ancient history by now. Yet another well-known northern road in Tehran, Africa Blvd, is still being called by its pre-revolutionary name, Jordan. Of course, in order to complicate some affairs, this Blvd was then renamed to Nelson Mandela Blvd in 2015 even though you’ll still mainly see many street signs calling it Africa Blvd!